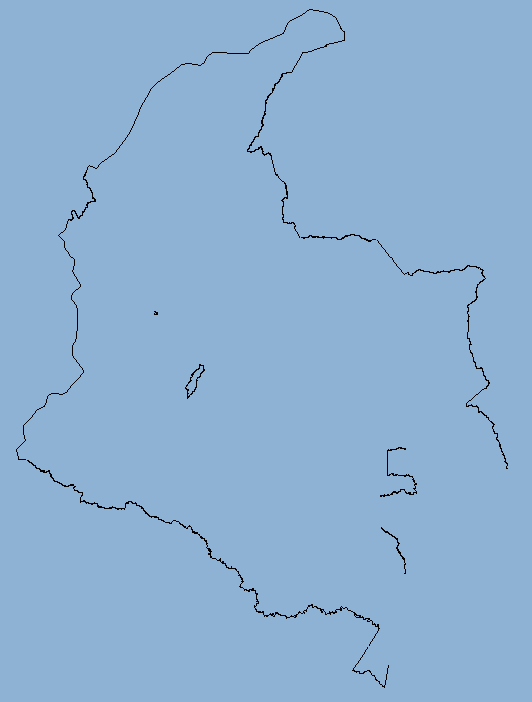 I am having trouble getting a complete border of Colombia. I have an application that loads OSM data, allows you to choose what features to display and draws them on a canvas. I got the data for Colombia from http://download.geofabrik.de/south-america/colombia.html. I then selected boundary:national, boundary:administrative and boundary:coastline. It still had a large portion of the border missing on the eastern side, and i realized that most of it was missing on top of the amazon river. I then drew rivers in also and only the border with Brazil was missing (not including the rivers along the border as they were drawn from the rivers). Is there a tag I am missing? How can I get the rest of the border? Thanks in advance. Which file did you download exactly? Colombia's border in OSM seems to be closed, so it could be a problem with either your program or the file generated by Geofabrik. There you can choose a country or smaller provinces, end export its boundary line in very different formats. Ok so I managed to get gpsbabel to work and the osm loaded into my system perfectly - and the generated OSM was half the size of the data i was using, which made it a lot faster. Thanks a bunch!